By Madison Montana One advantage of short-selling is that an active investor can be profitable in a rising or falling market environment. In uncertain markets one can use shorting to hedge against long positions. This is particularly beneficial when Political, Market or Idiosyncratic Risk is present in the trading environment. After a trader presses the sell button what actually happens? A trader sell order goes to his/her broker. Then, the broker checks to see if the stock is in the trader’s account. If not, the broker classifies it as a “short-sell.” He then checks his company’s inventory of stocks to short and the subsequent amount of shares available. He identifies shares available either in the company’s inventory or a client account. At which time, he “lends” the shares to the trader and credits his/her account with the revenues from the sale. Now, the trader is “short” the stock. Note: This is laborious in theory, but it is all automated in real-time. Why would you short a stock? 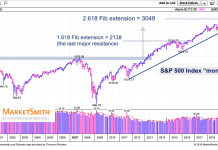 You believe that the stock is extended technically or that information is coming (or in existence) that will pressure the stock price and cause investors to take profits on their long positions. Such information could include: an analyst downgrade, bad earnings, tighter industry/government regulations, increased competition, change in management, global or macro conditions which could potentially impact the sector negatively and potentially your position; et’al. Shorting a stock is very risky, and not suitable for all investors, as the market has an upward bias. A stock price could go up forever and could create unlimited liability to the short-seller, exceeding the capital in his/her trading account. Whereas, a trader that employs a long-only strategy caps his loss at the capital in his account. Margin Trading: Short-Selling a stock involves using “borrowed money,” otherwise known as margin trading. If your account slips below the minimum margin level, one will be subject to a margin call and forced to put in more cash or liquidate the position. If a trader does not have the discipline, strict risk management rules, employ stops and a scaling methodology, margin requirements can become quite lofty. An alternative to shorting a stock is the employment of a put option strategy. Using put options achieves the same bias as the short seller, but with defined risk. Using options has seen an increase in volume growth over the past few years. However, employing puts strategies may not be suitable for all, as it has its own set of risks and learning curve. “Short Squeeze” Risk phenomena: This occurs when a stock starts to rise and a large % of the stock’s float is short, the short-sellers will try to cover their positions simultaneously and the pressure of the buy orders forces the stock price to rise quickly to undefined levels. A few examples would be a dividend announcement (as the short-seller is required to pay the dividend), a positive announcement by the company, or a change of sentiment in the stock, sector or market. High frequency, dark pools and algos are real and present in the market and once triggered, they can have a similar effect. Capitulation by the buyers at specific price level. 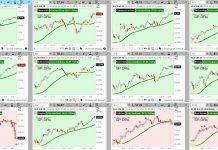 Confirmation of Up Trend Extended on Multiple Time Frames for confirmation – Using longer term time frames for support and resistance levels, and identification of an up-trend that breaks below prior day/week/month lows and makes a new low. 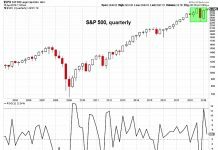 Although stocks have the potential to go up forever we have seen several companies file for bankruptcy, leaving their investors holding the ball. Traders that understand the risks involved and the discipline that is required to short sell can make nice profits quickly in a declining market or stock price. Thereby, short-selling is a great tool to have in any trading tool box, to profit when markets are down trending and to hedge long positions in an uncertain market. But, it is risky and requires discipline and an obedience of stops. As stated, this trading strategy requires strong discipline and the ability to assess market conditions in real-time. Risk is elevated when holding a short overnight, so know your time frame. Personally, I enjoy a challenge, as taking on a short, keeps me in the game. Every day, I need to assess the market condition and what are the potential risks that may impact my position. Thanks for reading. About Madison Montana: Manage funds for clients & self. Interested in quality stocks with liquidity. Enjoy ideas from $$ oriented & serious traders.